Over the past six to twelve months I have seen quite a lot of posts on LinkedIn questioning the current and future qualities of picking up a telephone as an effective way to win new business and people actually questioning if it’s dead. I can categorically say that cold-calling is not dead. It’s alive! About seventeen years ago, my first ever Sales Manager told me that ‘people buy people’ and guess what? Nearly a fifth of a century later, people are still buying from people. The value of human interaction is priceless. Any good salesperson will tell you how important it is to be enthusiastic about your product/service and the necessity for your prospect to feel this too. If they aren’t excited then the chances of the sale being closed and achieving business is minimal. The best way to portray excitement is vocally and in my opinion, a broad Geordie accent certainly helps. The whole purpose of the sales call is to offer the prospect a service or product that they will benefit from but you will more than likely have to play the numbers game. Expect rejection but don’t take it personally. There is a slight exception when you will hear ‘we’re actually reviewing now’ and this is one of the sweetest sounds to any salespersons ears but this is a bit like searching for the elusive needle in a haystack – it is there and you can find it but it’s not going to happen quickly. Luck can play a part too and you can be in the right place at the right time. If you don’t pick up the phone, how will you ever know? A successful sales call will involve listening more than talking. Dialogue can then be tailored and adapted for each individual and it allows you to steer the conversation in the direction that you want it to go. It is about persuading but not pushing. Obviously the prospect will have doubts so engaging with them directly allows you to answer any questions they may have. Picking up the telephone allows for immediate feedback. This in turn, shortens the decision making process as you will get a direct understanding of budget, current suppliers, time frames, objectives etc without having to go back and forth by email later. 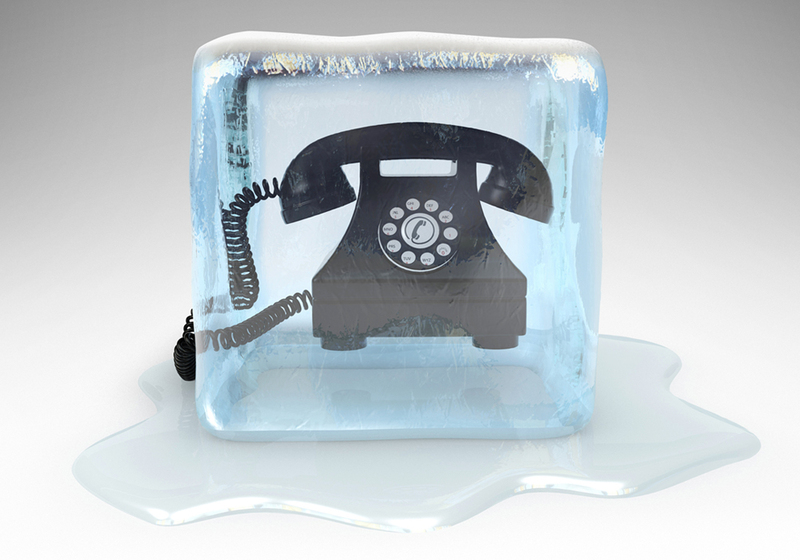 Cold-calling is not dead but it is changing. Compliment your sales calls with effective use of LinkedIn, Twitter, emails, Facebook, Instagram, hand-written letters, face-to-face meetings and you can’t fail if what you’re offering is of quality. Finally, always be polite! If the timing isn’t quite right, still follow up your call with an email to reiterate why you contacted them. Circumstances change all the time and if you have created the right impression, people will come back to you. 68% of B2B sales were found to involve some form of human interaction such as telemarketing. Customers have been found to respond better to the human touch than to some other form such as digital marketing. On the phone, tone is 86% of our communication. The words we use only represent 14% of our communication. Almost 60% of marketing managers in fortune 500 companies say telemarketing is “Very Effective” for leads and customer outreach, and when those who say it is only “Effective” that percentage is almost over 90%. 92% of all customer interactions happen over the phone. 75% of 1,000 executives polled were prompted to attend an event or take an appointment as a result of a cold-call.